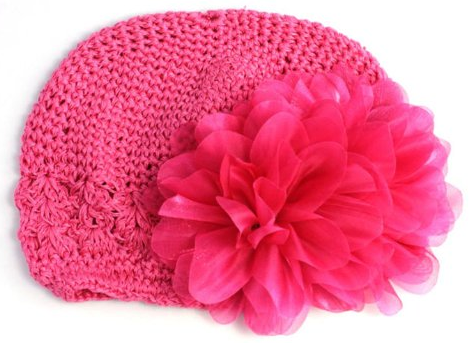 Baby Flower Cap Only $2.47 PLUS FREE Shipping! You are here: Home / Great Deals / Amazon Deals / Baby Flower Cap Only $2.47 PLUS FREE Shipping! What a cute hat this is! Perfect for summer to protect baby’s head this Baby Flower Cap is Only $2.47 PLUS FREE Shipping! This would make a great gift for any upcoming baby showers as well as cute for pictures! Get yours NOW!